HOUSTON — A deadly virus that often leads to the death of young Asian elephants in North America, Europe and range countries was the focus of international researchers, veterinarians and elephant care experts attending the 10th International Elephant Endotheliotropic Herpesvirus Workshop here on Feb. 17-18. 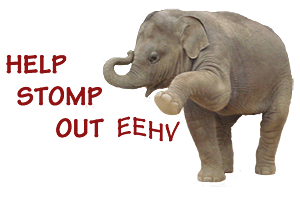 Hosted by Houston Zoo with support from the International Elephant Foundation, the workshop featured virology, medical and elephant care experts from Asia, Europe and North America. For the first time since the workshops began in 2005, EEHV cases of afflicted baby elephants saved through early treatments were shared. It demonstrates progress in the struggle to understand and treat virus strains that are so complex, researchers have yet to be able to culture the virus which is necessary to create a vaccine and determine what drugs are most effective. The elephant care teams at Houston Zoo reported at the workshop their promising successes that occurred last fall when treating two young elephants, both 4 years old, for EEHV infections. The zoo previously lost five calves to the virus. Howard said that in both cases the virus was detected in the calves’ blood during weekly tests. The zoo began doing the routines tests as a result of its EEHV research and protocols. Others zoos, including in St. Louis and Maryland, and Whipsnade Zoo in the UK, have also successfully treated EEHV cases in recent years. Highlights of these promising cases were presented at the workshop. “It’s good news that North American zoos have not lost an elephant to EEHV in last 5 years,” she said. have learned how to treat some infections with very helpful information from EEHV workshops and zoos around the world. We still need more data to support treatments. Any details of the disease are helpful for range countries,” said Boonprasert. Twenty-one calves in European zoos have died of EEHV including four in the last two years. Advancements in treatment are coming as a result of several collaborations among research institutions like Baylor College of Medicine and Johns Hopkins University in the U.S. and Erasmus Medical Center (Netherlands), Nottingham University (UK), Murdoch University (Australia), University of Zurich (Switzerland), Animal and Plant Health Agency (UK), and zoological centers caring for elephants. The best way to develop knowledge about and research into EEHV and other wildlife diseases, and ultimately cures or vaccines can be found, is through observing, studying and breeding elephants in human care in developed countries like the U.S. which have sophisticated research resources. This knowledge and experience can then be employed to battle the impact of such diseases on the rapidly disappearing populations of highly endangered Asian elephants. Another outcome of these collaborations is the EEHV Advisory Group. Organized last year, the volunteer group of EEHV subject matter experts is focused on keeping global researchers and elephant care givers informed about research advancements and science-based management recommendations. At the workshop, the Advisory Group also announced a refreshed and expanded on-line resource for EEHV information www.EEHVINFO.org. Many EEHV researchers at this week’s Houston workshop are expected to gather again later this year for the first EEHV Workshop in Asia hosted by Singapore Zoo.